Students make individual soda bread "scones". While the scones are baking they experiment with the ingredients, mixing them together to find out which combinations make a gas. Do you ever cook or help to cook at home? 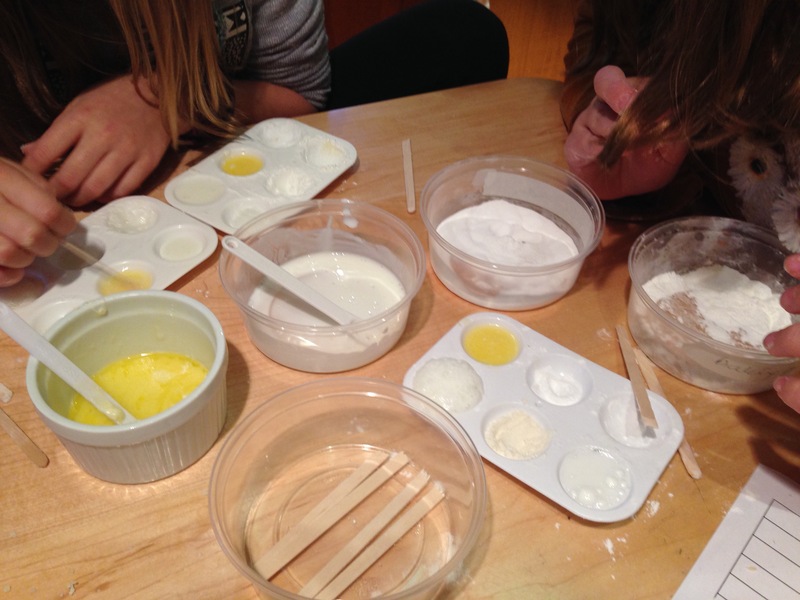 There is a lot of science in cooking - all that mixing and heating - lots of chemistry and chemical changes going on. We’ll make scones today and investigate the chemistry happening in our recipe. And then we get to eat our experiment! Each student adds the dry ingredients to the tub and mixes them together. Then add the wet ingredients and mix in with the spoon. Pick up with the hands and mix more before moulding into a ball. Put on a piece of foil. Teacher adds their name to the foil, before putting on the baking tray and bake in the oven. Tell students that in the oven the ingredients are mixing together and heating up, to make a cooked scone. Some of these ingredients have a chemical reaction with each other to make something new, a gas. The gas pushes the dough up to make it rise. 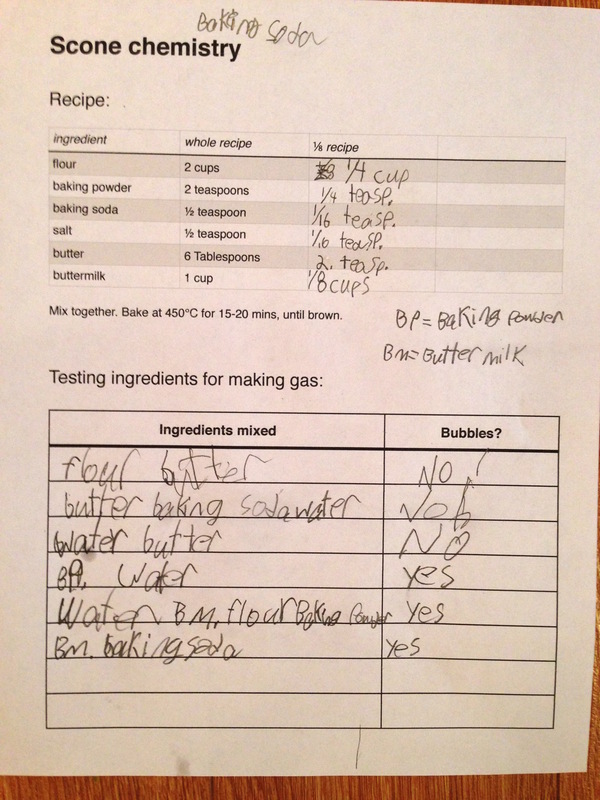 To figure out which ingredients are making a gas, we need to know what that looks like (bubbles). Add water as an ingredient to try mixing, as it is a component of the buttermilk. Optional, but recommended: students to fill out the worksheet (attached; modify for younger students) so they can remember which combinations made the gas. Younger students can draw what they find. If students are mixing many ingredients together each time, prompt them to only mix two ingredients, so that they can figure out which ingredients alone are needed to make gas. Results should show these results with the fewest ingredients: the baking powder and water makes gas; the (warmed) buttermilk and baking soda make a gas (though less obvious). 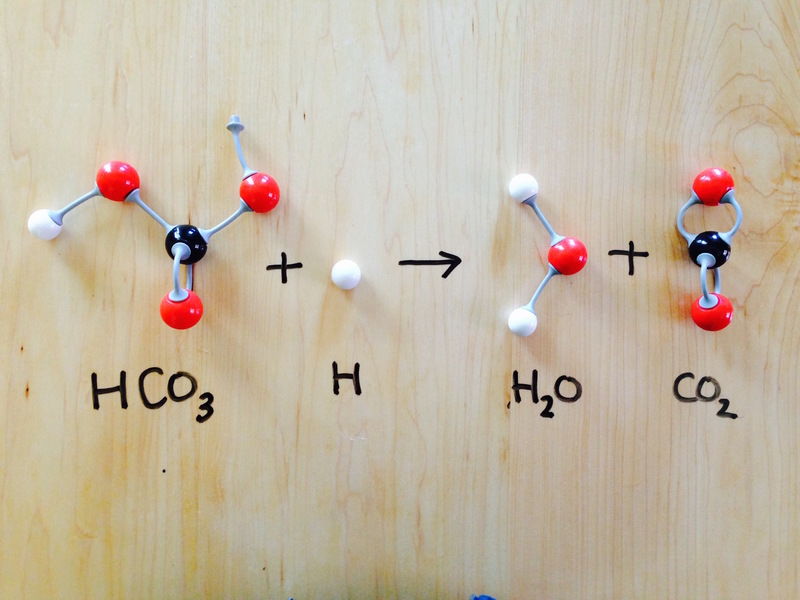 If time with older students: the chemical reaction happening can be shown with molecule modeals (see resource for purchase of molecule models). 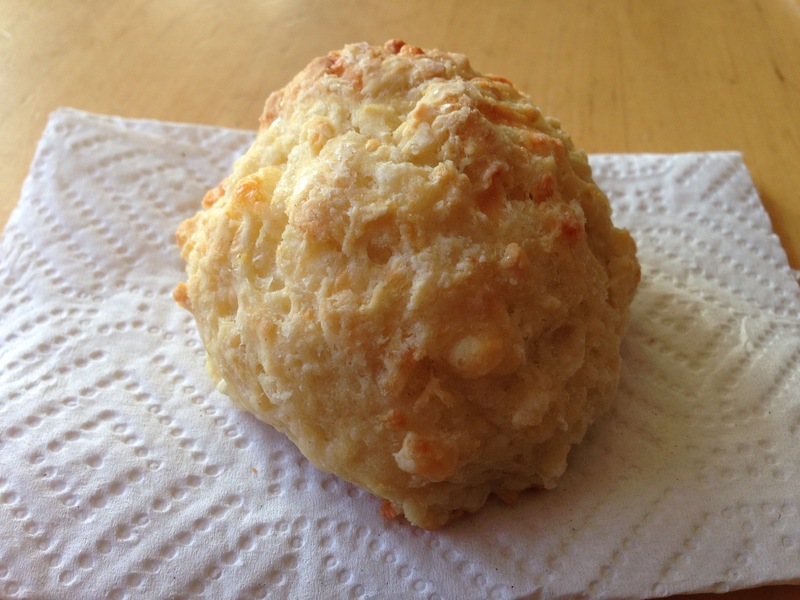 Before they eat it, ask students to break their scone open, and look for the empty spaces, where the bubbles of gas were. The gas made by the ingredients mixing made bubbles, which got stuck in the dough and pushed it up to make it rise in the oven. Then the scone baked around them. 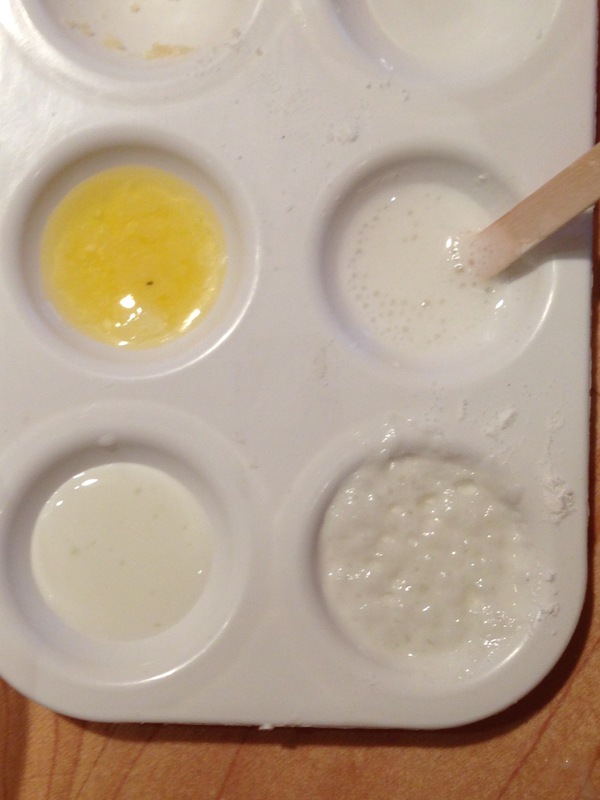 Can test other sour ingredients (ketchup, vinegar, orange juice) with baking soda and find out which ones make bubbles.